Golden Age – Orocrea Jewerly s.n.c. The first fine jewelry collection of Oro Crea. 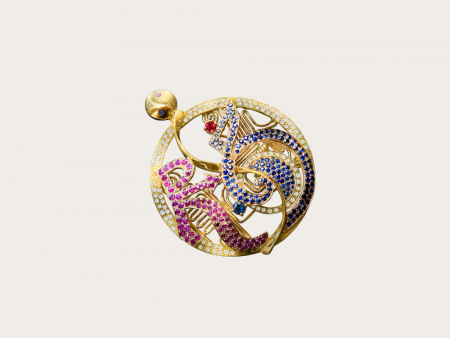 Jewelry pieces characterized by a processing with “pavè” of coloured precious gems and by a matrix of symbols to reawaken the ancient and noble aspects of the Self. These pieces bring back memories of the immense greatness of the Human soul and, in the present, they distill the characteristics of the new Human Being. First of all, our happiness!